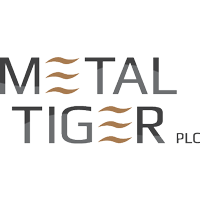 Shares of Metal Tiger PLC EPIC code: LON:MTR has stepped up 4.87% or 0.07 points throughout today’s trading session so far. Buyers seem confident while the stock has been in play. The high for the period has reached 1.64 while the low for the session was 1.5. Volume total for shares traded at this point reached 1,293,680 while the average shares exchanged is 5,363,340. The 52 week high price for the shares is 3.44 which is 1.94 points in difference to the previous days close of business and a 52 week low sitting at 1.08 a difference of some 0.42 points. Metal Tiger PLC has a 20 day moving average of 1.3 and now the 50 day simple moving average now at 1.47. This puts the market capitalisation now at £21.23m at the time of this report. The currency for this stock is GBX. Market cap is measured in GBP. This article was written with the last trade for Metal Tiger PLC being recorded at Wednesday, January 23, 2019 at 11:52:40 AM GMT with the stock price trading at 1.57 GBX. Stock in MXC Capital Ltd with ticker code: LON:MXCP has increased 4.12% or 0.05 points throughout the session so far. Investors have stayed positive during the trading session. Range high for the period so far is 1.39 and hitting a low of 1.33. The total volume traded so far comes to 260,841 whilst the daily average number of shares exchanged is just 1,341,296. The 52 week high for the shares is 1.54 which is 0.2 points different to the previous business close and a 52 week low sitting at 1.12 which is a difference of 0.22 points. MXC Capital Ltd now has a 20 SMA at 1.29 and now the 50 day simple moving average now at 1.28. The market cap now stands at £46.53m at the time of this report. Share price is traded in GBX. Mcap is measured in GBP. This article was written with the last trade for MXC Capital Ltd being recorded at Wednesday, January 23, 2019 at 10:33:59 AM GMT with the stock price trading at 1.39 GBX. Shares in Oncimmune Holdings PLC with ticker code: LON:ONC has risen 3.67% or 4 points throughout the session so far. Traders have remained optimistic while the stock has been in play. The period high has peaked at 113 and a low of 113. The total volume of shares traded by this point was 1,000 with the daily average at 14,659. A 52 week share price high is 150 amounting to 41 points difference from the previous days close and putting the 52 week low at 77 a difference of some 32 points. Oncimmune Holdings PLC now has a 20 SMA at 117.38 and now its 50 day simple moving average now at 107.36. The market cap now stands at £69.64m at the time of this report. Share price is traded in GBX. Mcap is measured in GBP. This article was written with the last trade for Oncimmune Holdings PLC being recorded at Wednesday, January 23, 2019 at 8:12:23 AM GMT with the stock price trading at 113 GBX. Shares of Marks and Spencer Group Plc with EPIC code: LON:MKS has moved up 1.08% or 3.1 points during the course of today’s session so far. Traders are a positive bunch throughout the trading session. The high for the period has peaked at 290.7 and hitting a low of 285.2. The volume total for shares traded up to this point was 1,600,621 whilst the daily average number of shares exchanged is just 8,505,531. A 52 week share price high is 316.6 amounting to 30.4 points difference from the previous days close and putting the 52 week low at 240 which is a variance of 46.2 points. Marks and Spencer Group Plc now has a 20 moving average of 272.66 and a 50 day MA at 281.83. Market capitalisation for the company is £4,702.54m at the time of this report. All share prices mentioned for this stock are traded in GBX. Mcap is measured in GBP. This article was written with the last trade for Marks and Spencer Group Plc being recorded at Wednesday, January 23, 2019 at 12:02:52 PM GMT with the stock price trading at 289.3 GBX. The trading price for Pearson plc ticker code: LON:PSON has gained 1.2% or 11.08 points throughout today’s trading session so far. Market buyers seem confident throughout the session. The high for the period has reached 932.6 and a low of 914.8. The total volume of shares traded by this point was 381,720 while the daily average number of shares exchanged is 3,722,815. The 52 week high price for the shares is 1030 amounting to 109.6 points different to the previous business close and a 52 week low sitting at 651 a difference of some 269.4 points. Pearson plc now has a 20 moving average of 971.37 and now a 50 day moving average now at 958.11. The current market capitalisation is £7,275.62m at the time of this report. All share prices mentioned for this stock are traded in GBX. Mcap is measured in GBP. 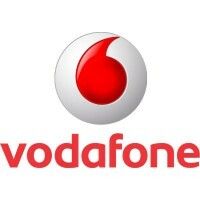 This article was written with the last trade for Pearson plc being recorded at Wednesday, January 23, 2019 at 12:02:36 PM GMT with the stock price trading at 931.48 GBX. Click MKS MTR MXCP ONC PSON for the full archive.